Our panhard bar system for leaf-spring suspensions greatly improves vehicle handling response by providing superior control over side-to-side movement of the rearend housing. Installation and proper setup provides a noticeable change in vehicle handling with a more direct and connected feel during cornering. 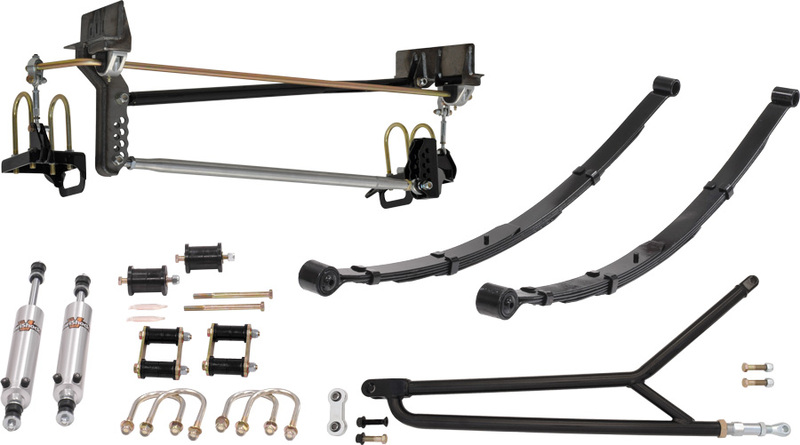 Minimizing the nervous tendencies of leaf spring suspensions with the TCP panhard bar makes driving at near the vehicle's performance limit much easier. 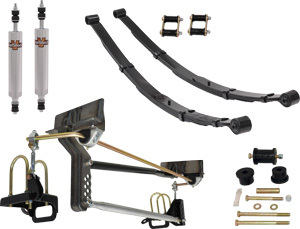 The panhard bar component is part of a fully-featured system with weld-on frame brackets integrating the anti-roll bar mounts, and bolt-on leaf spring plates with built-in shock mounts and tie-down loops. 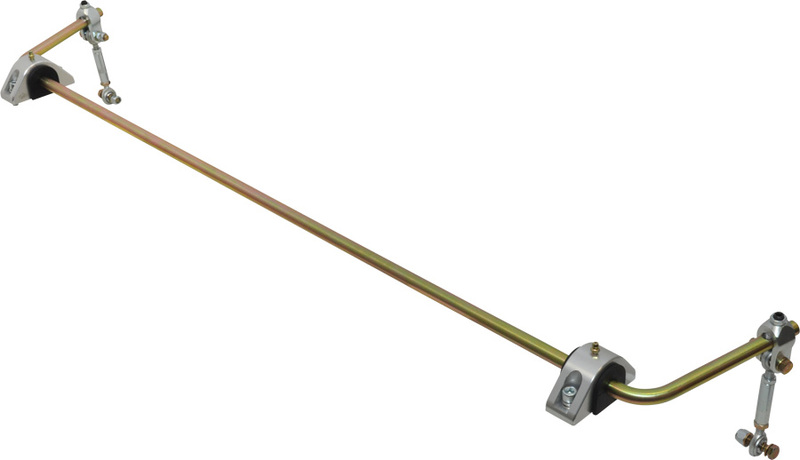 Adjustable Geometry - Multiple mounting holes for each end of the panhard rod allows the system to be used at multiple ride heights and provides adjustment of the vehicle roll center. Altering the roll center affects the understeer and oversteer characteristics of the car and is a quick and easy method to achieve better handling performance. System shown with optional anti-roll bar and driver-side spring plate. Note: Does not fit with factory staggered shocks. Stage 2 - Panhard bar system, leaf springs, polyurethane bushings and shackle set, aluminum-body shocks, spring plates, and mounting hardware. Stage 6 - Torque arm, panhard bar system, leaf springs, polyurethane bushings and shackle set, aluminum-body shocks, leaf-spring plates, and mounting hardware. TCP PHL-M10 - Panhard Bar includes frame brackets, welded steel support tube, aluminum panhard rod, and passenger side leaf-spring plate. 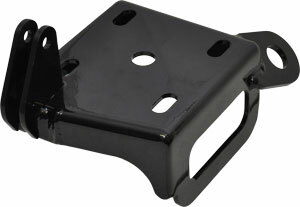 TCP PHS-M10 - Driver-Side Leaf Spring Plate required for installation of anti-roll bar. TCP PHA-M10 - Sliding-Link Anti-Roll Bar includes 5-position adjustment bar, billet-clevis endlink mounts, endlink assemblies, and poly-bushing billet-aluminum mounts.